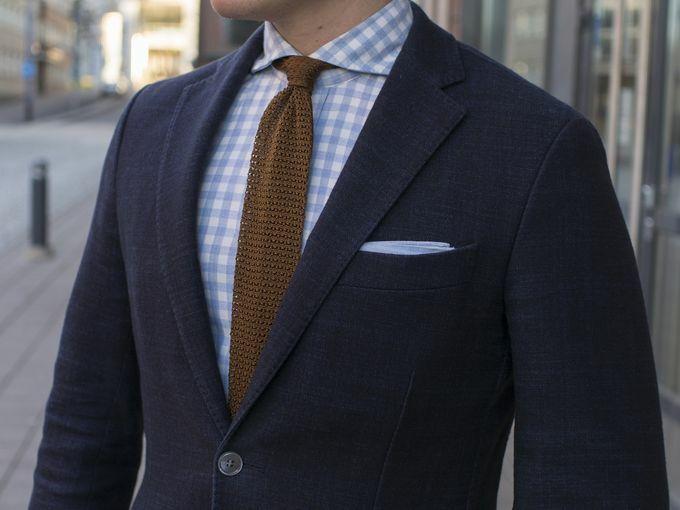 I've always been a fan of the gingham check, the pattern that is perhaps the best casual fabric pattern that can easily be used to liven up your outfit. In my opinion it is best used as the only pattern, preferably as a shirt but also as a jacket. It can be quite dominating, so you'll want to keep the other bits quite simple. Here's me wearing a gingham check flannel shirt and a gingham check scarf. 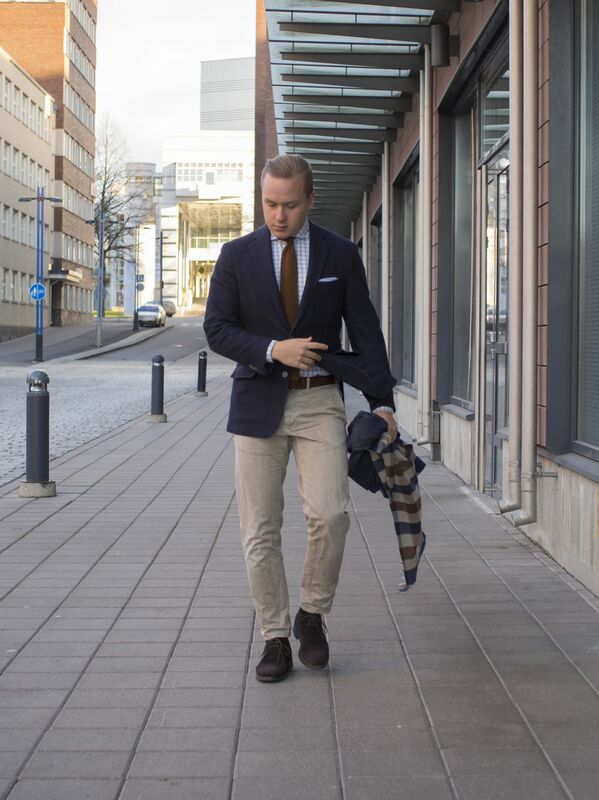 Worn items include a SuitSupply Copenhagen fit jacket, SuitSupply flannel gingham check shirt, unnamed brown silk knit tie from Vaatturiliike Sauma, sky blue cotton pocket square, Alden suede belt, Incotex Red washed chinos, Loake Pimlico Chukka boots. In my hand a Berg & Berg wool scarf and a Sealup raincoat. I really love this knit tie. The sort of mid brown color is fantastic all year round and is easily combined with different kind of outfits. 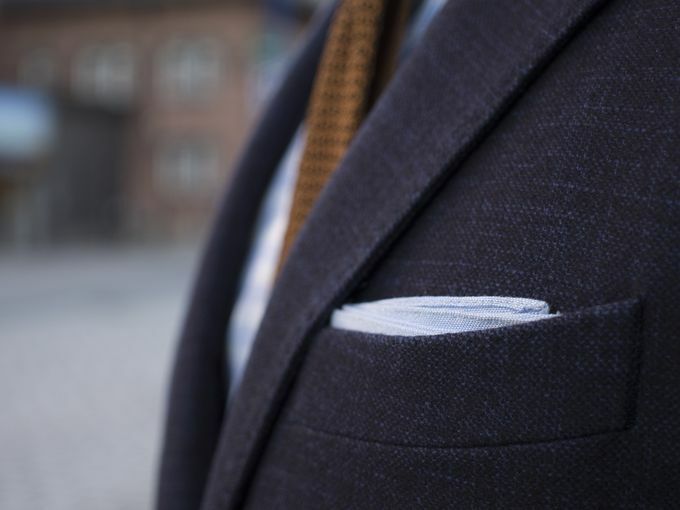 Simple sky blue cotton pocket square, goes with the casual theme. Next week we'll have some cool winter coats, denim, trouser alteration and more outfits.